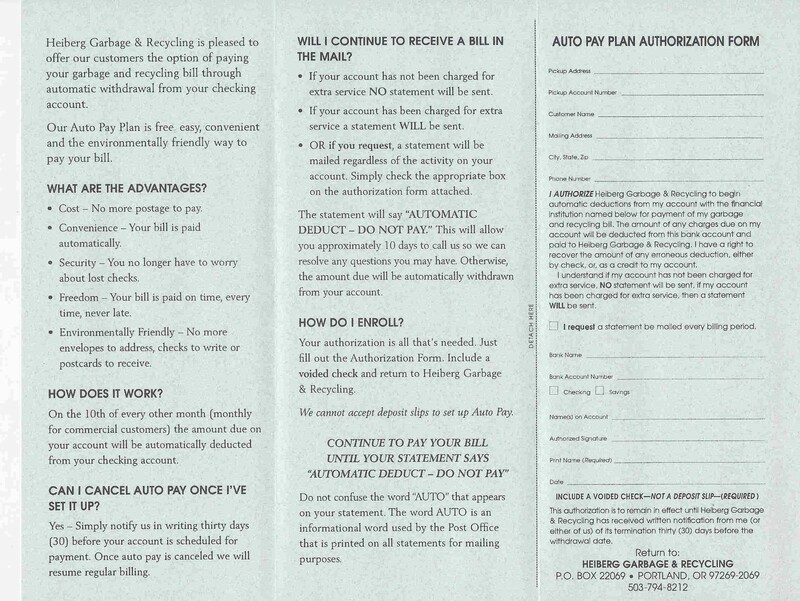 Fill out the auto pay form HERE and send it to us. It is important that you sign the form and send us a void check. If you currently owe a balance, we do need a physical payment for that bill. Auto pay will start on the next billing cycle.